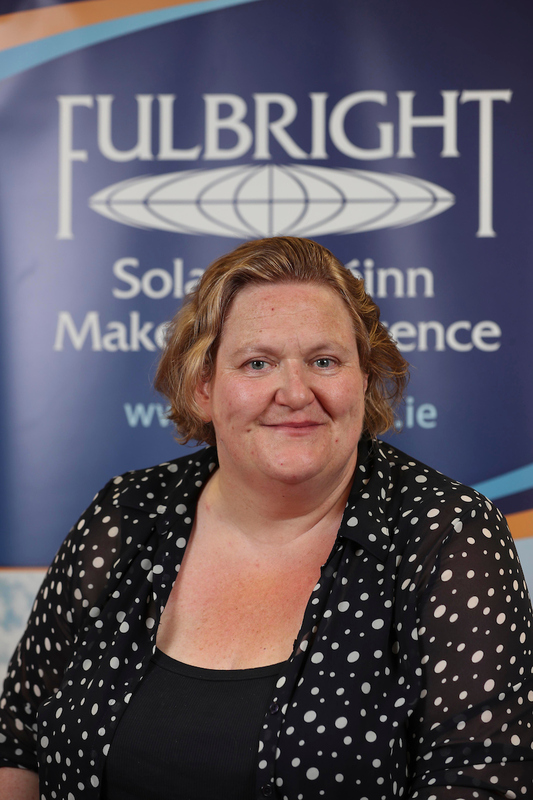 Ms Emer Gilmartin is a Researcher at the ADAPT Centre, Trinity College Dublin. Her work focusses on spoken dialogue technology. She has been involved in language provision to refugees since 2003. As a Fulbright-TechImpact Scholar, she will work on the integration of spoken language technology into an automatic language tutor for refugees and migrants. The system will use voice and text to deliver language activities relevant to life in a new country and include virtual interlocutors to provide spoken dialogue practice and tuition through automatic speech recognition and speech synthesis. The curriculum will be based on European Language Portfolios for Migrants Learning the Language of the Host Community created at TCD. The work will be carried out in collaboration with the Language Technologies Institute at Carnegie Mellon University, Pittsburgh.